This year we will celebrating our great rural life with ‘down on the farm’ based displays in the marquee, and traditional farm games (e.g. guess the number of balloons in a land rover). The children’s Fancy dress competition will again kick off the afternoon at 2pm – Fancy dress theme is “down on the farm”. 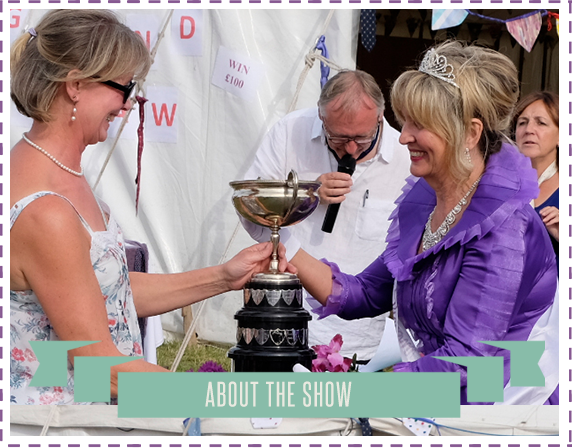 The Flower Show has a great traditional mix of fruit, vegetable, produce, craft and childrens classes open to all (with cash prizes), lots of games for adults and children alike, village fete stalls, and great refreshments including tea and cake and a bar serving beer, cider, and wine. We do hope you will come along and join in the fun!